The use of an online financial calculator can be crucial to the stability of your budget. These calculators can help ease the worries of monthly payments, retirement, and other stressful responsibilities. There is no shame in looking for help when dealing with financial issues. Many times, investment decisions can be complicated, but going into them blindly can prove to be a big mistake. The internet provides many gateways to various resources and organizations that can help relieve the stress of whichever financial situation you may be facing. Below is an assortment of links that include loan calculators, personal finance calculators, and money management calculators. These will help aid in the creation of a budgetary plan that can help you plan for a comfortable retirement, the purchase of an affordable car or home, and many other useful applications. This personal online financial calculator will help you analyze the added accumulation of interest on top of credit card purchases. Spending beyond your means and paying too little per month can lead to financial instability. The use of a loan calculator can be very helpful. Purchasing a home is a big decision, and this calculator will help inform buyers of their expected mortgage payment. Online financial calculators can even help you in the purchasing of your home. Knowing exactly how much you can realistically spend on a house is a substantial advantage to people seeking to buy a home and remain financially stable. A loan calculator is an excellent way to achieve this. This application allows users to calculate and compare loans with regards to monthly payment, length of loan, and the loan’s annual percentage rate. Knowing these totals after the added interest will provide a better understanding into the true cost of the loan that you are accepting. So take advantage of this free loan calculator before you stretch yourself beyond your financial means. Estimate your monthly car payments with this helpful loan calculator that is based on the price of your current or dream car. This tool will take terms, cash down, and trade-in information into consideration when producing results. Knowing how much you can responsibly spend on a car is very important. Over-extending your finances can lead to larger issues; this online financial calculator will inform you of a safe amount to spend. This personal finance calculator will review all of your normal expenses and produce a suggested amount of savings needed in order to safeguard yourself from unexpected emergencies. This typically is equivalent to 3-6 months of living expenses. Using this tool will make sure that you know how much money you need to save in order to live comfortably throughout your long retirement. 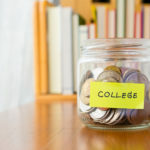 Determine how much college will cost you or your student by taking advantage of this free calculator. Students’ age, college type, and number of years in school will all be determining factors. The use of applications such as an online financial calculator can prove to be a great advantage to those looking for a smarter way to handle their monetary issues. Knowledge is most certainly power in the case of your current financial situation. Knowing the true cost of major investments and the amount of money you have to spend on these investments can make the difference between having a stable budget or being burdened by stressful debt. Preparing for unforeseen events, and knowing where you stand in accordance to your budget can lead to the previously mentioned comfortable retirement, affordable new car or home, and many other exciting perks. Be sure to use every tool available to you, especially the free financial counseling offered by Advantage CCS.